When you go to a search engine and search for a keyword that you are targeting there are many factors that go into where your website ranks. Some think that if they just make a website people will find them. 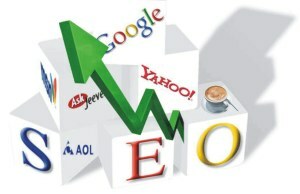 Many who don’t understand SEO or search engine optimization don’t realize all the “behind the scene” work that is done. We have put together a list of things for you to do that will increase your rankings. By understanding how basic search engine optimization works you will be able to get your website ranking on the first page of many search engines. Let’s first start with your url. Having search engine friendly urls is critical in helping your ranking. This means that you would have a url that looks like www.yourdomain.com/seo-company instead of www.yourdomain.com/02dksiil_ji%20 as you can see one url makes sense. You understand what the page is about just by the url. The second one could be about really anything. There is nothing there that tells us what the page is even about. The second thing to look at when it comes to urls is the site structure. If you are selling something you would want your url to look something like this www.yourdomain.com/products/pay-per-click-advertising. From this url you can see that we have our main domain, then you are looking at the products we offer and then pay per click advertising. Your url should be a breadcrumb trail of where your user has been. The last thing that we look at when it comes to the factors that urls have on your ranking is the life span of your domain name. Domains that are brand new will ranking lower than those domains that are 5 years old. Take that into consideration when looking at your rankings. There are three things to watch for when you are doing your on page search engine optimization. Search engines look for content relevance. If the keywords you are targeting are “utah seo company” then your content should be about a utah seo company or seo services. Make sure that you are using meta tags with your targeted keywords as well as watch your keyword density. It used to be that if you wrote “seo company” a hundred times on a page that your site would rank high for that term. The new search engine algorithms are more sophisticated and this is no longer the case. Make sure you aren’t “keyword stuffing” and putting your targeted keywords more than is natural. This is the meat of your search engine optimization. Once you have all of your on page seo done, search engine friendly urls the next step is to work on your off page seo. This is a job that is never done. Many people hire an seo company to take over this part for them since it is labor intensive. The main factors that go into off page seo is inbound links for directories, blogs, other websites, social media, etc. Getting links from high quality sources will dramatically increase your search engine ranking. The more links you have, the more people will be talking about you, and the more your brand is going to be recognized.